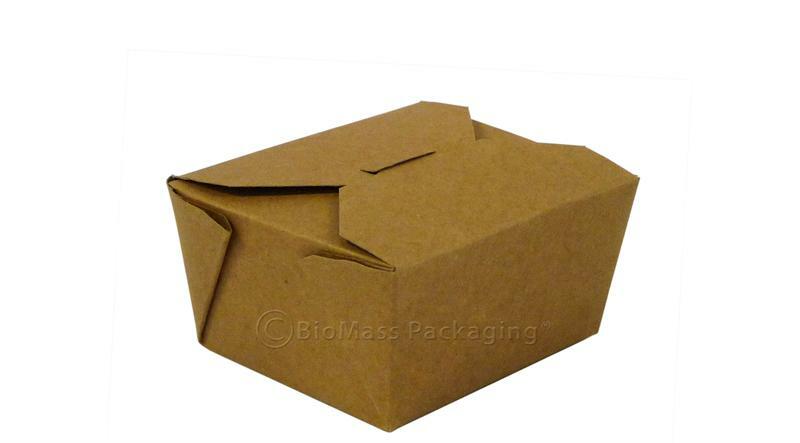 Bio Pack natural food containers are the eco-friendly alternative to traditional Styrofoam, plastic and aluminum packaging commonly used today. Made from 100% recycled paper using 35% or more post-consumer recycled paper and are processed chlorine free. They work great for hot, cold, wet or dry foods, making them perfect for full course entrees, salads and box lunches. Leak-resistant, microwaveable, stackable and easy-to-use. #1 Dimensions Top 5 x 4.5" Height 2.5" Bottom 4.375 x 3.5"
Bio Pack natural food containers are made from 100% recycled paper. Stackable, microwaveable and perfect for hot, cold, wet or dry foods.